The patio house for our friends Eli and Dunia is finally finished. 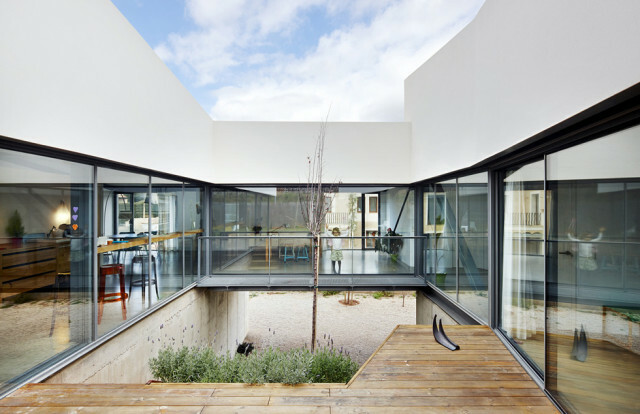 The project is a reinterpretation of a traditional patio house, with an open side and the patio folding down to connect the lower and higher topographical levels and provide continuity to garden across the house. 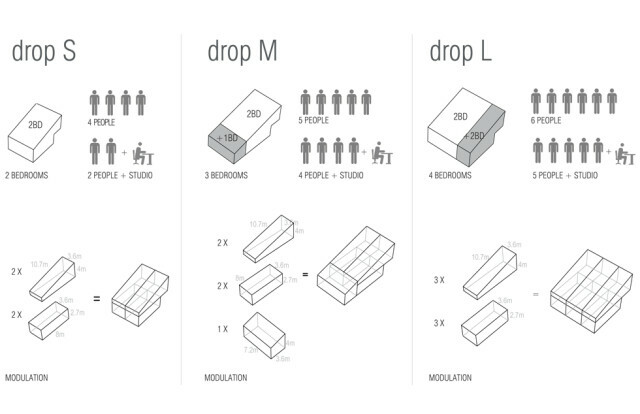 Modular housing prototypes DROP S, M, and L are now available at Modultec's website. These prototypes have been developed by MIBA while being part of F451 and intend to become a customizable standard that balances low cost and high performance in a passive house basis.